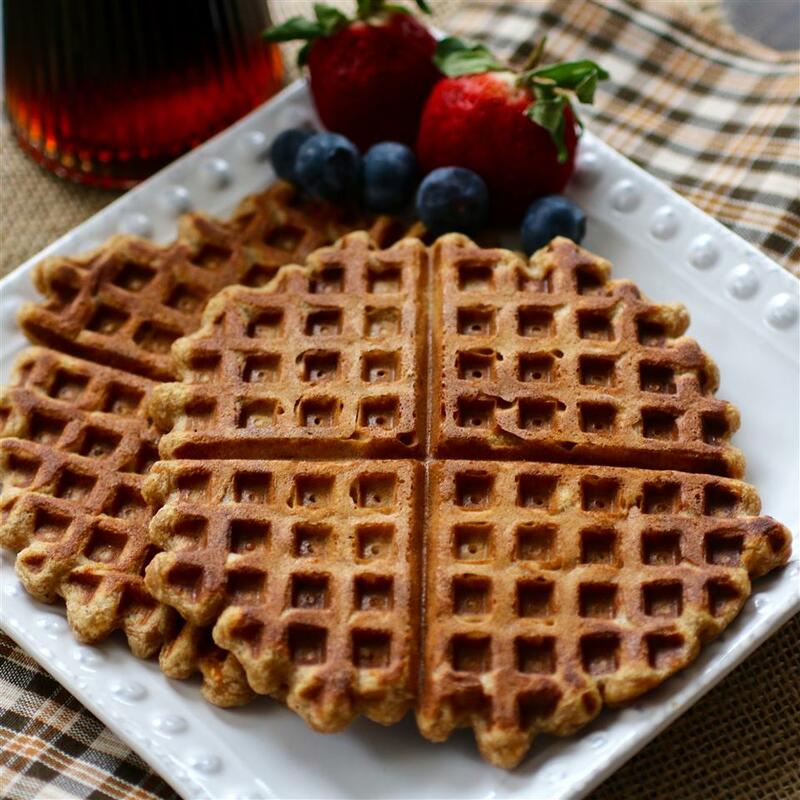 I've tried other waffle recipes, and this is one is by far the best! 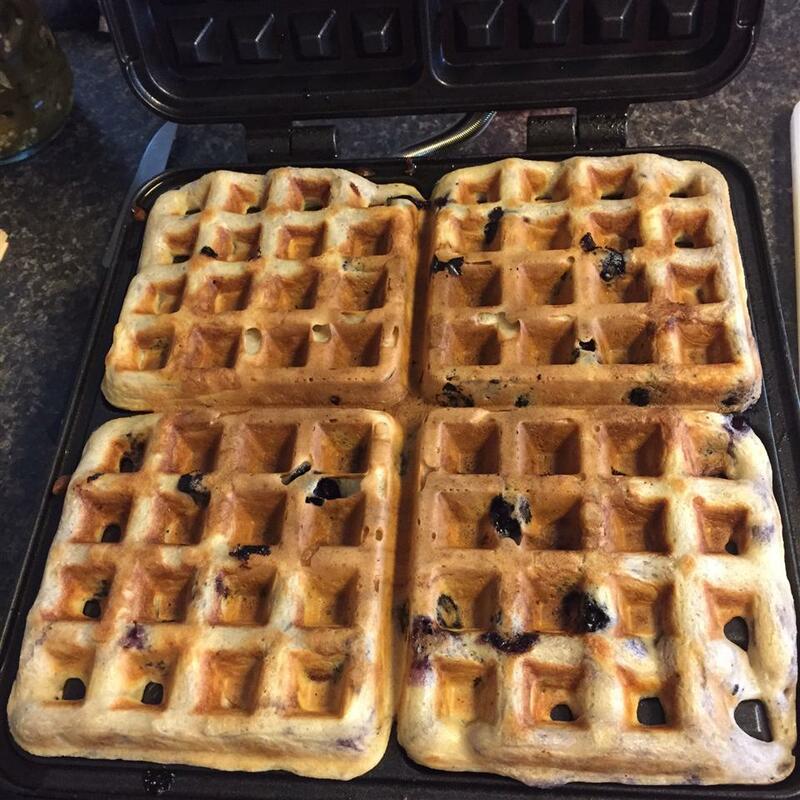 The texture is moist, not dry - and they freeze well. Cool on wire racks before freezing, then just pop them in the toaster to reheat. 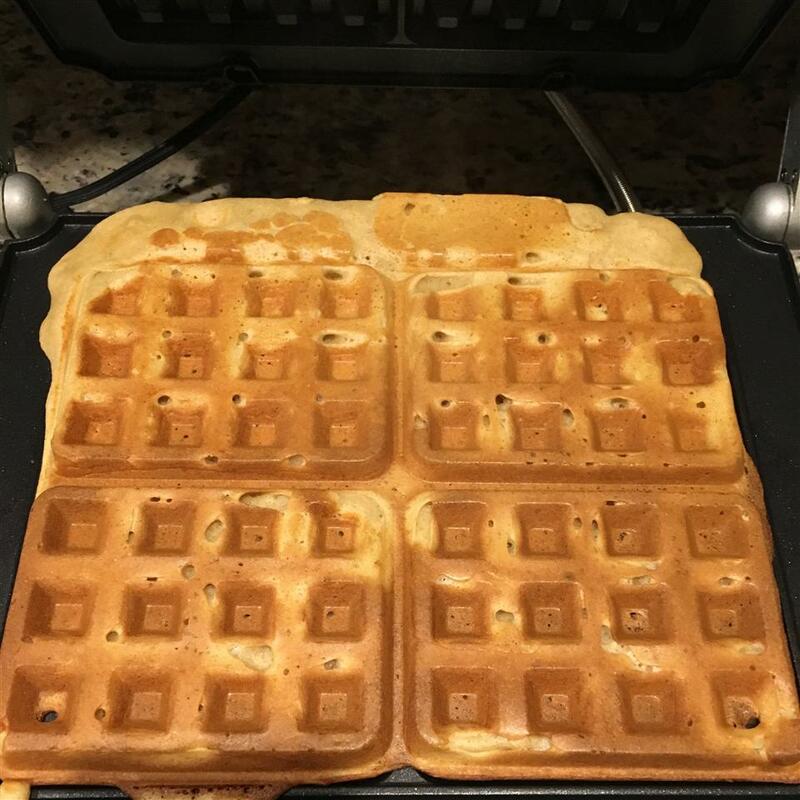 Preheat waffle iron. In a medium bowl, sift together flour, baking soda, baking powder and salt; set aside. 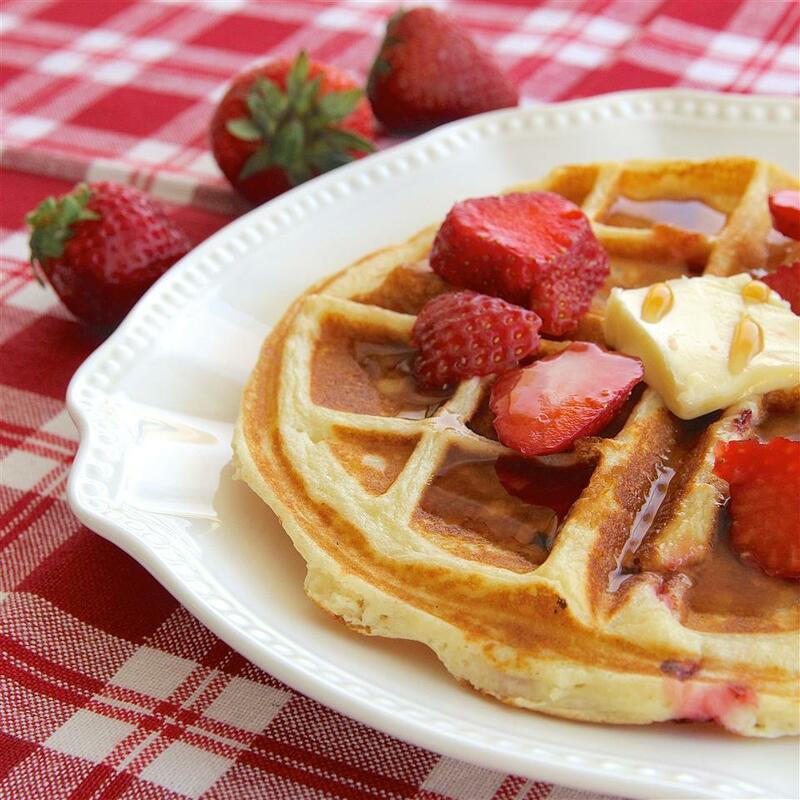 In a large bowl, cream butter and brown sugar until light and fluffy. Beat in egg yolks. Blend in flour mixture alternately with buttermilk. 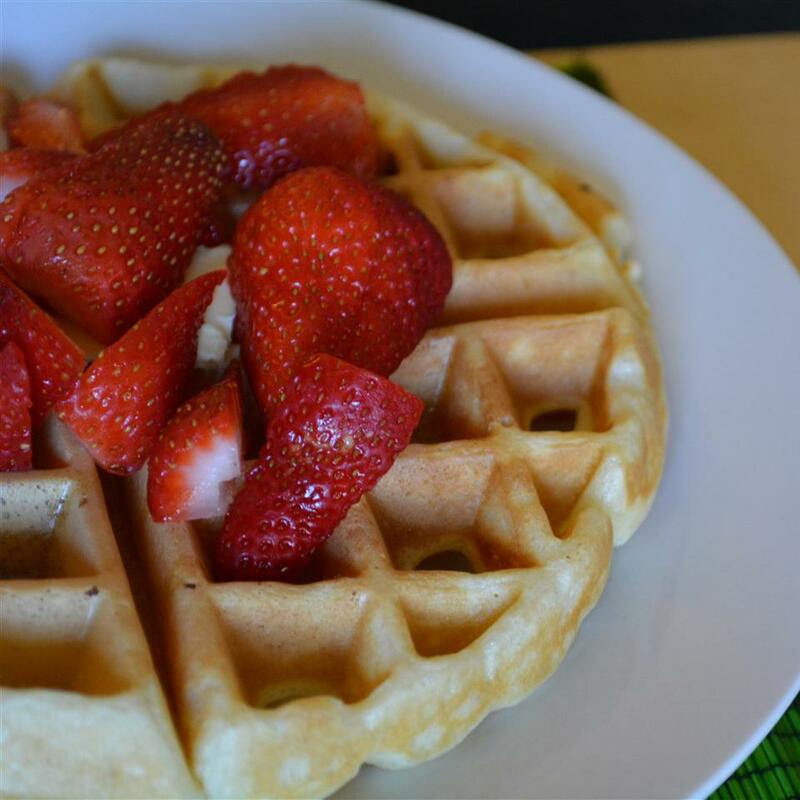 Spray waffle iron with non-stick cooking spray, or lightly brush with oil. 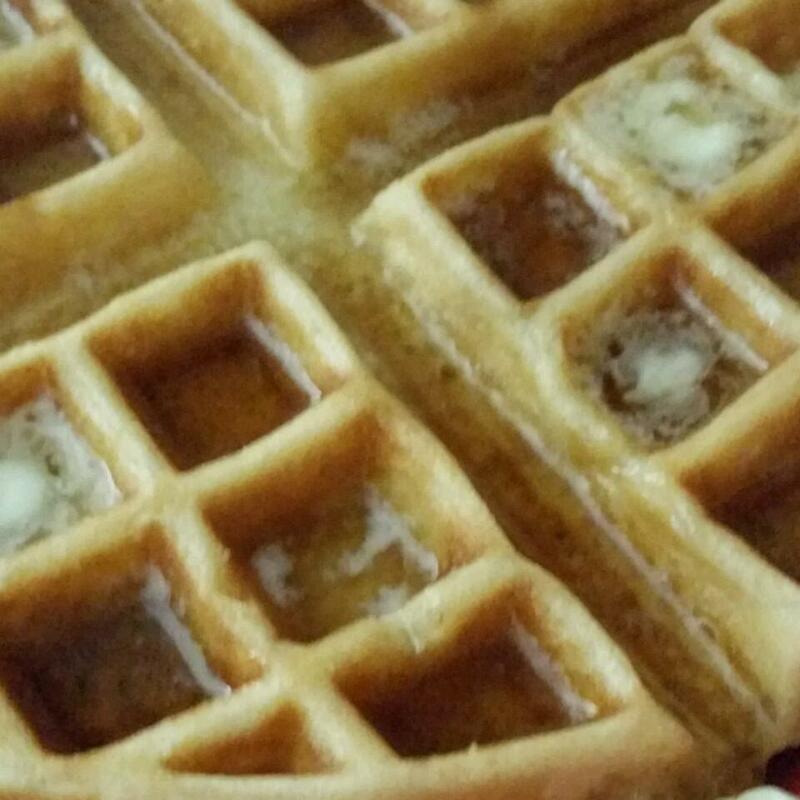 Ladle the batter onto preheated waffle iron. 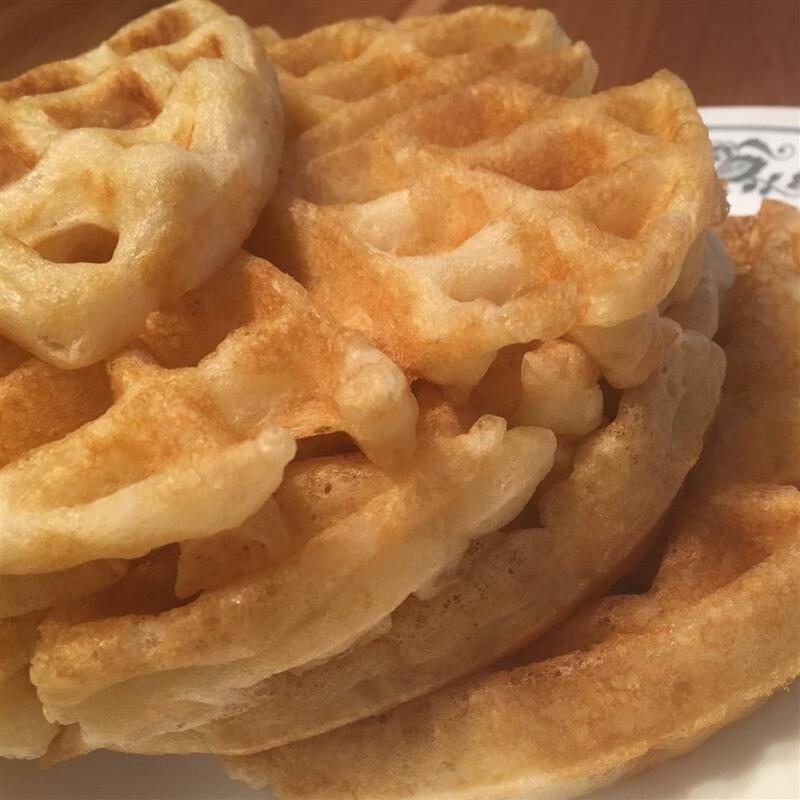 Cook the waffles until golden and crisp. Serve immediately. WOW! Yummy! 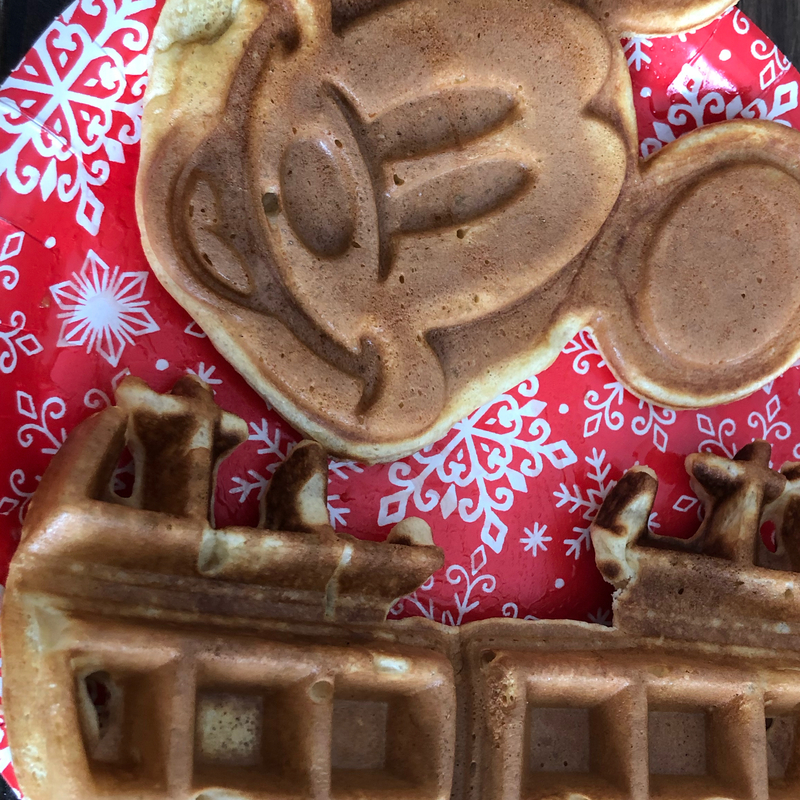 The BEST waffles we have ever had. I must admit that I put all the ingredients in one big bowl and mixed by hand. 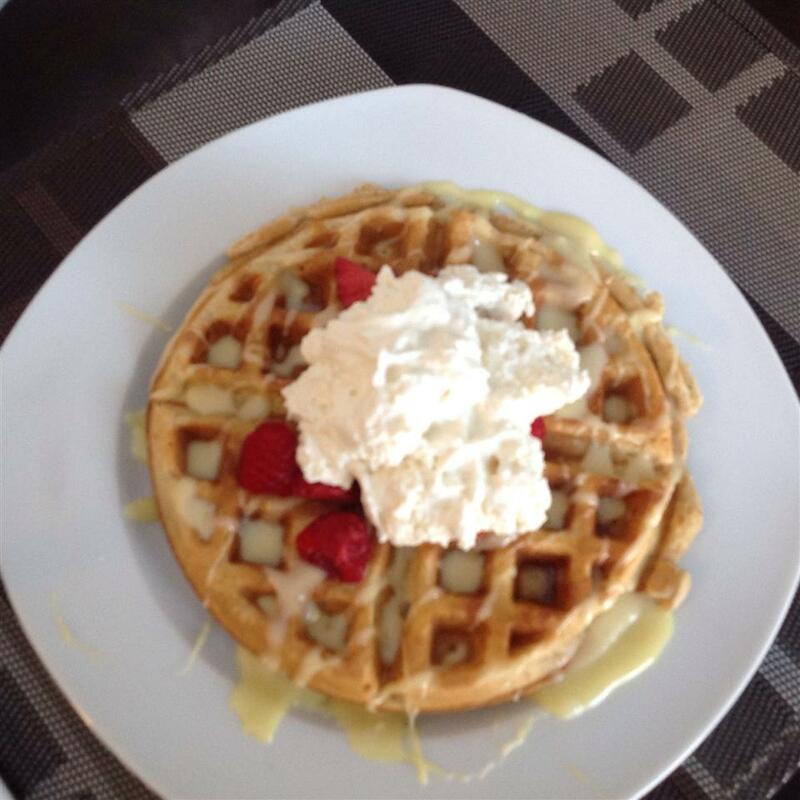 No fancy hoopla like the recipe says and I threw out the egg whites. Oops. BUT they were still awesome. It took me about 1 minute to prepare the batter. That&apos;s right! And we still loved them. We sliced fresh strawberries mixed with sugar and topped with Cool whip. FANTASTICO! Don&apos;t waste your time. I have no idea why this recipe has received so many good reviews. 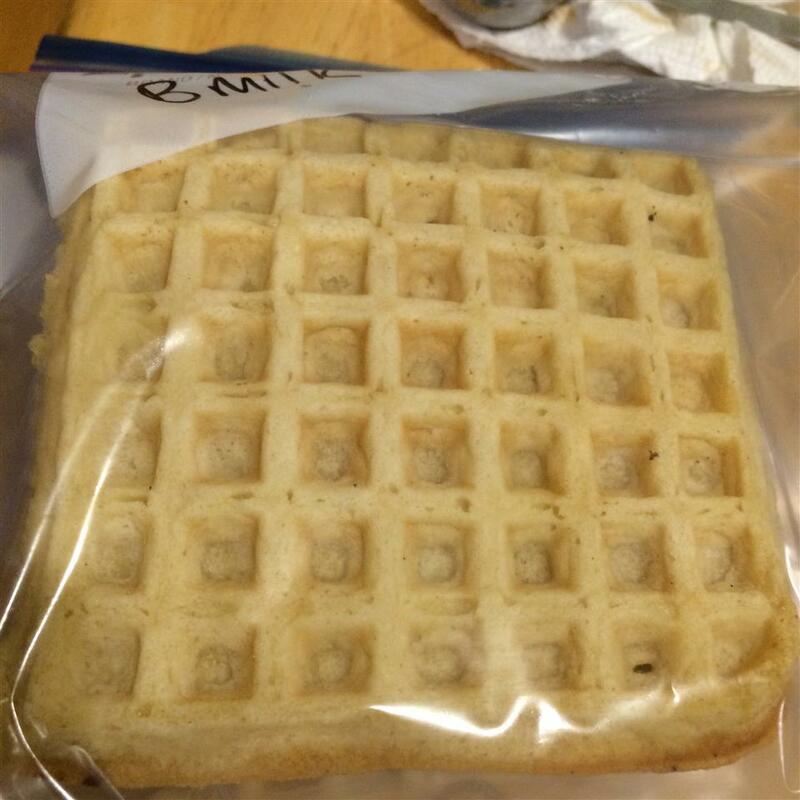 I have been making home made waffles for quite some time now and thought I&apos;d try something new so gave this a shot. 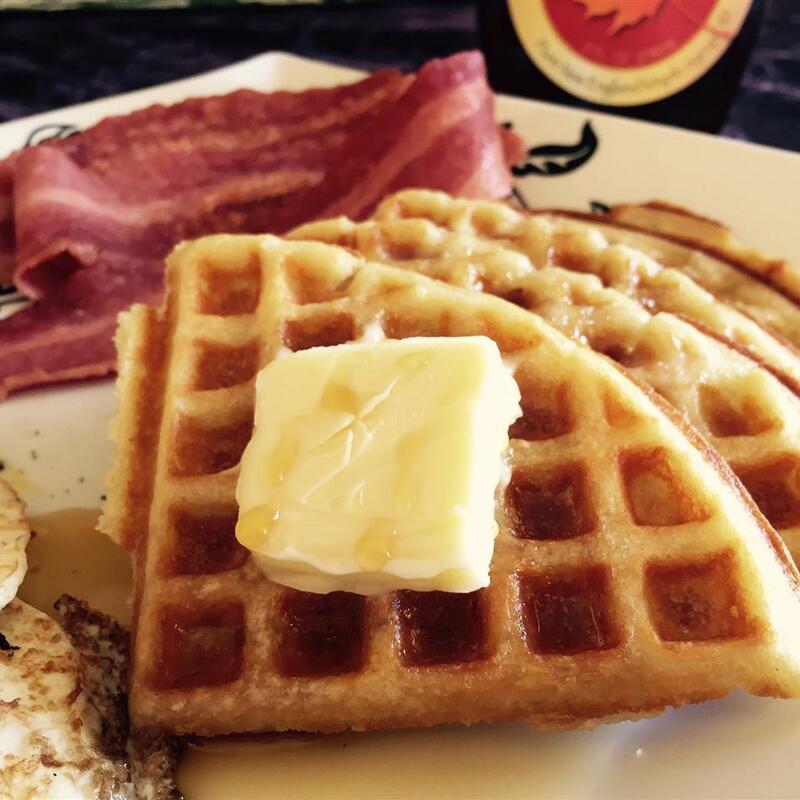 My husband and I both couldn&apos;t finish just one waffle. Pass on this and and keep searching. I will edity soon with a better receipe that we usually use from this site. This recipe was great. Although I got tired of having to separate egg yokes and what-not..I just mixed it all up in the mixer and it turned out fine! I loved the texture of these. 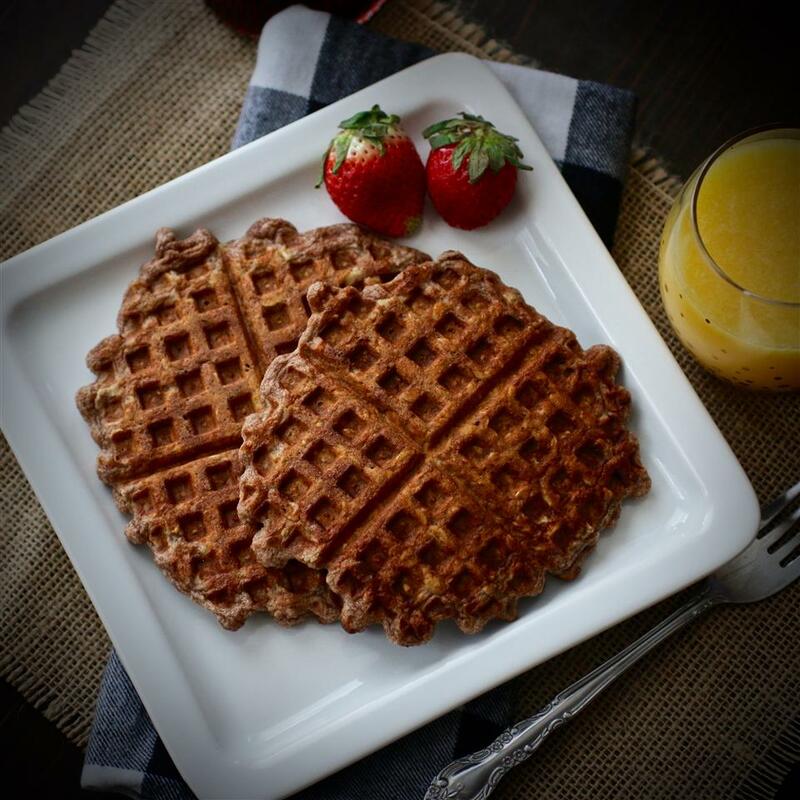 Crispy on the outside and soft in the middle. The only problem was that they had no flavor. 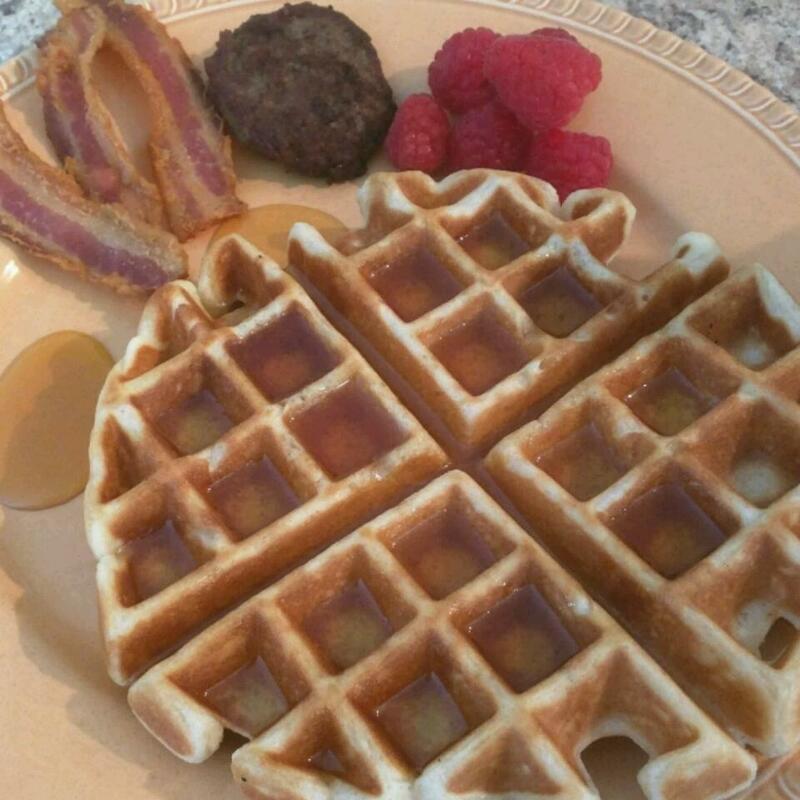 All I could taste was the maple syrup I put on. 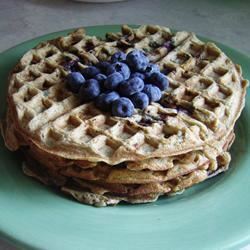 This would be a perfect recipe to add blueberries to. Is it legal to sell these? 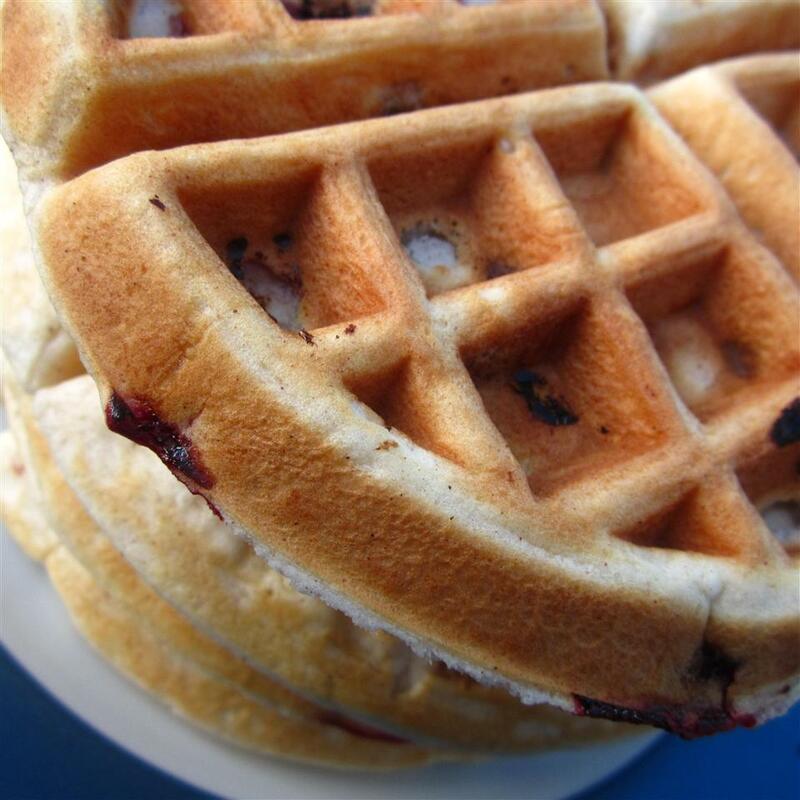 These waffles were the best waffles ever! I made double the recipe and gave them away for presents! I am speechless! The name really is true! Only one thing though. I found they weren&apos;t that sweet. 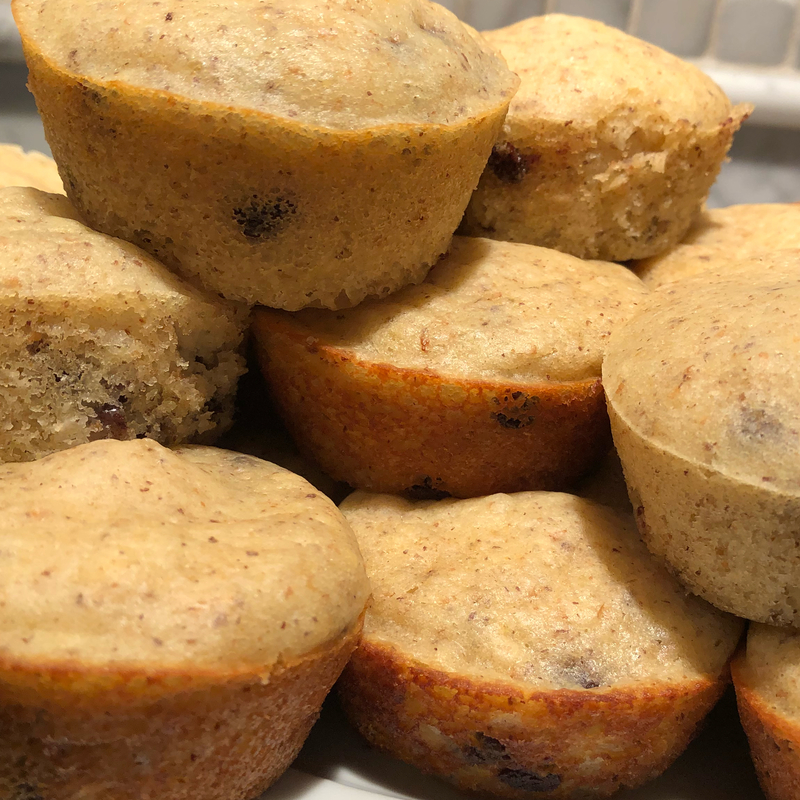 I Put 1/4 more sugar and put a little bit of chocolate chips and they were even better! 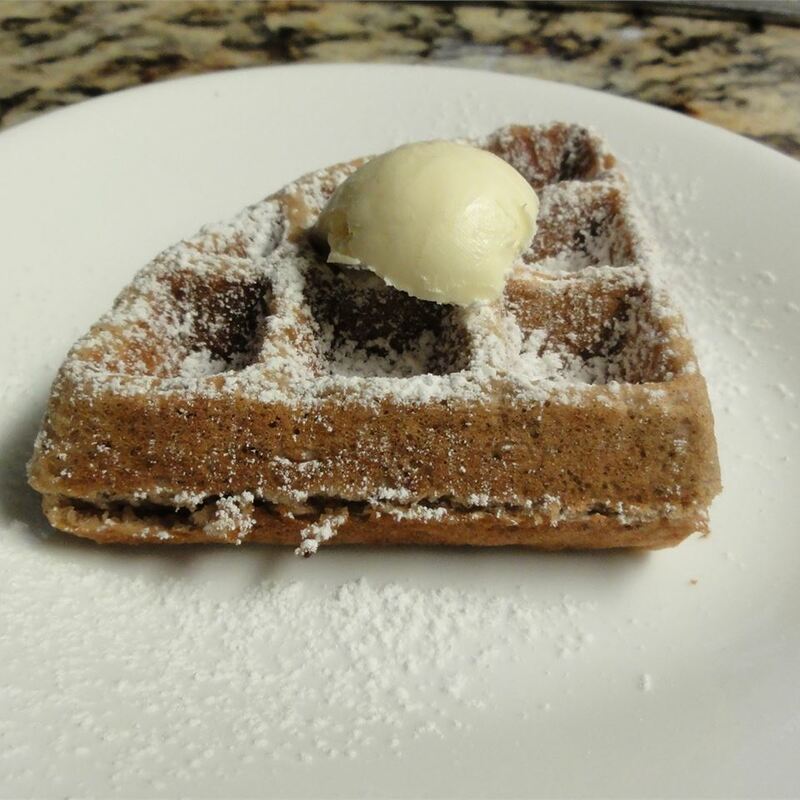 Definitely a perfect recipe for "Wonderful Waffles"! 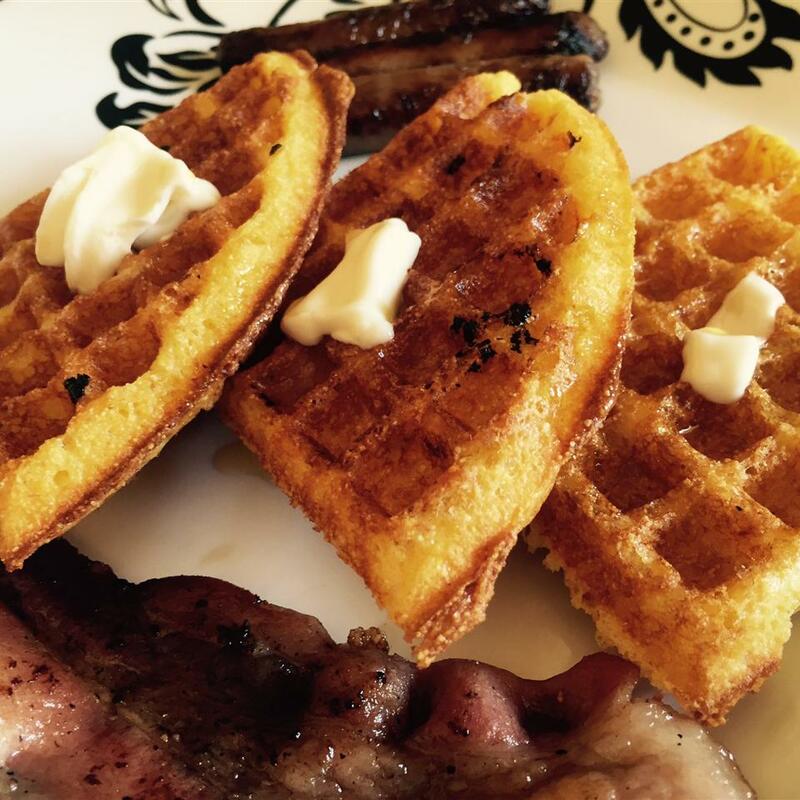 These were light fluffy crispy on the outside and tender on the inside - what more could you as for on a Sunday morning. 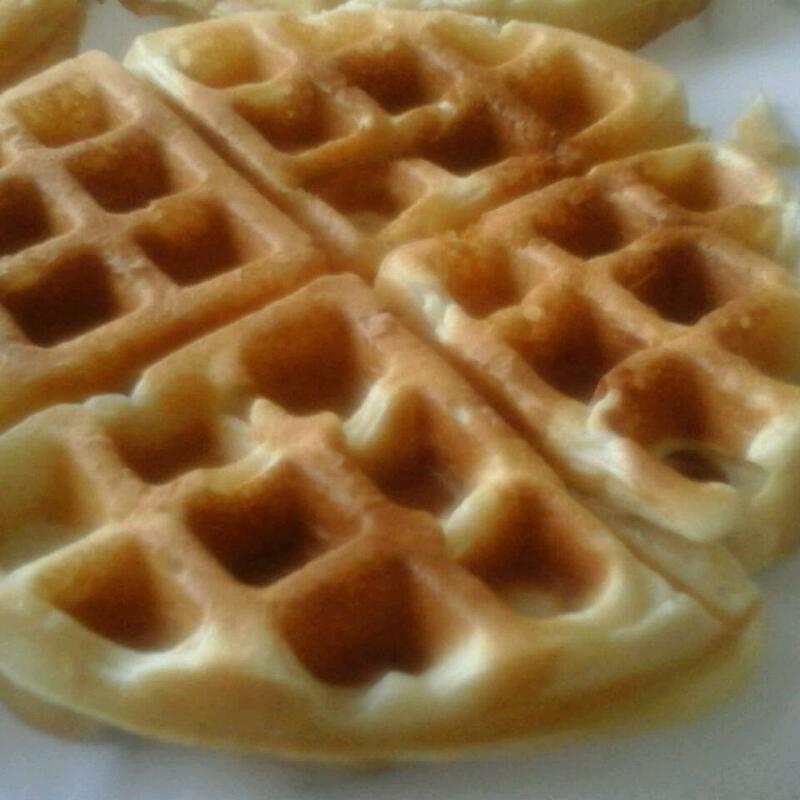 I&apos;ve made waffles before just adding the egg whole vs. separating and whipping the egg whites until nice and fluffy. 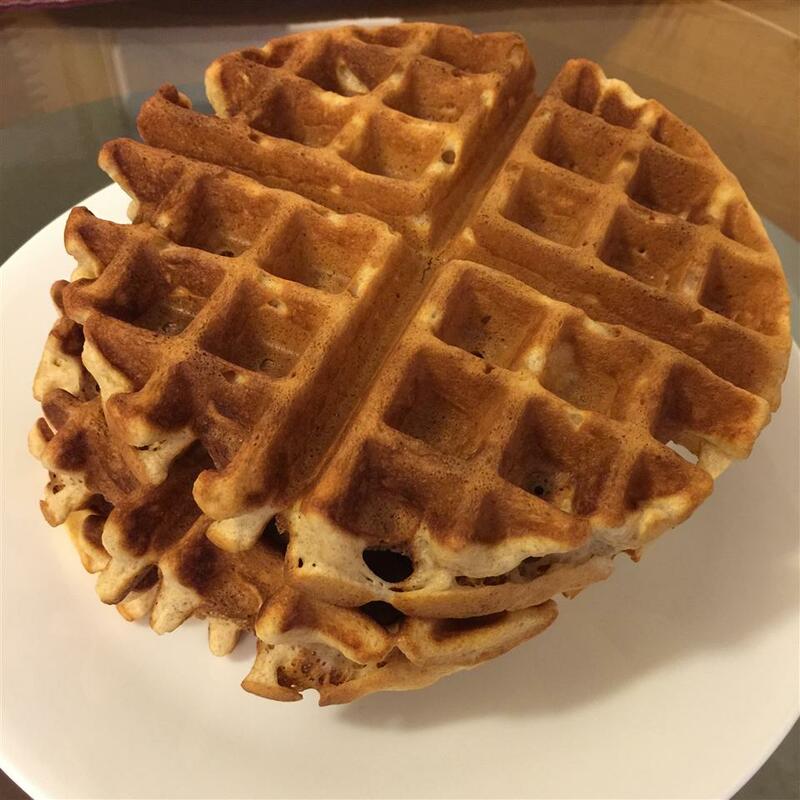 I must say it&apos;s worth the extra step of whipping the egg whites and folding them in - the result was a much fluffier waffle. I melted the butter and used 6 Tbsp. of white sugar vs. brown and added a generous splash of vanilla. 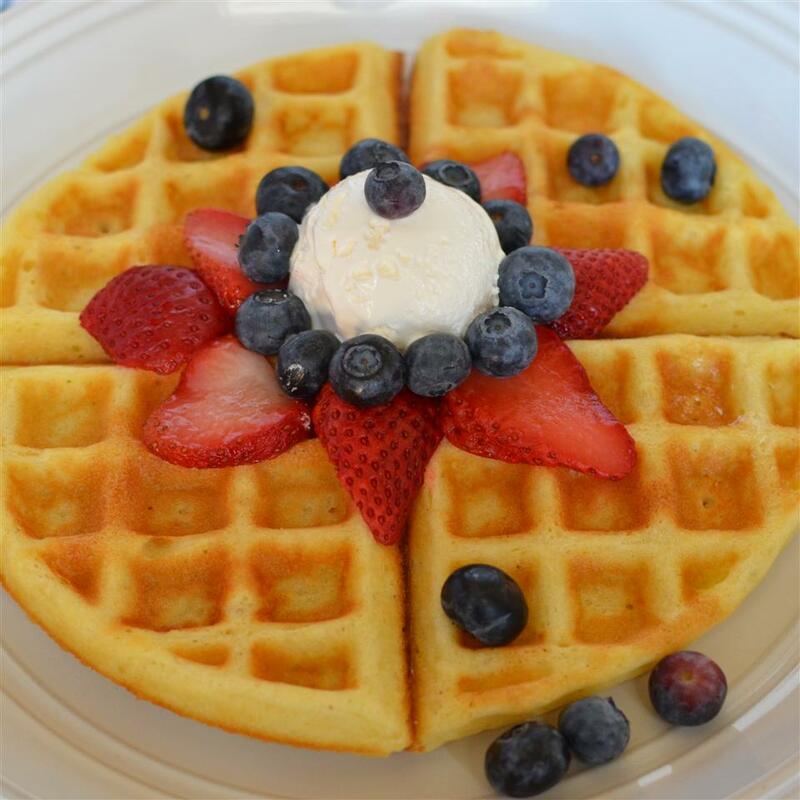 These are delicious topped with butter real maple syrup or fresh fruit and whipped cream! 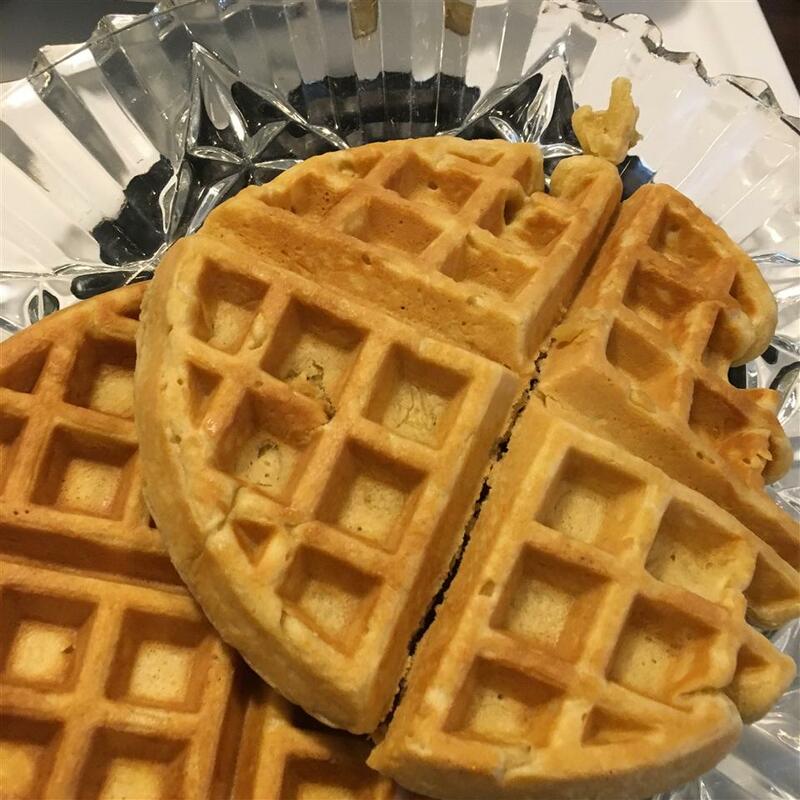 Thanks for a great recipe! 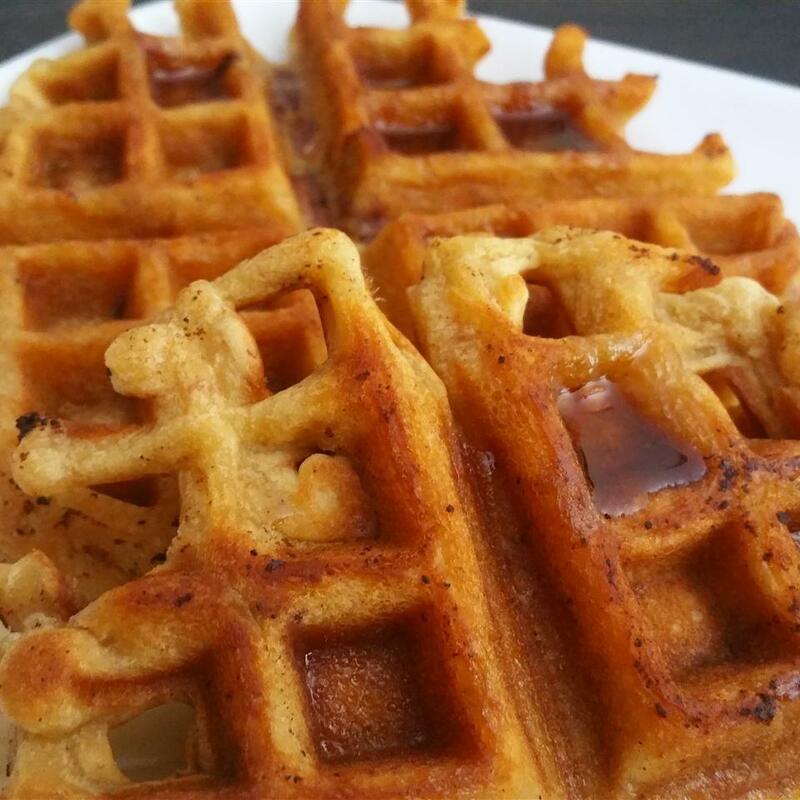 This may not be the easiest waffle recipe I&apos;ve ever made but it is certainly the tastiest. YUMMY! 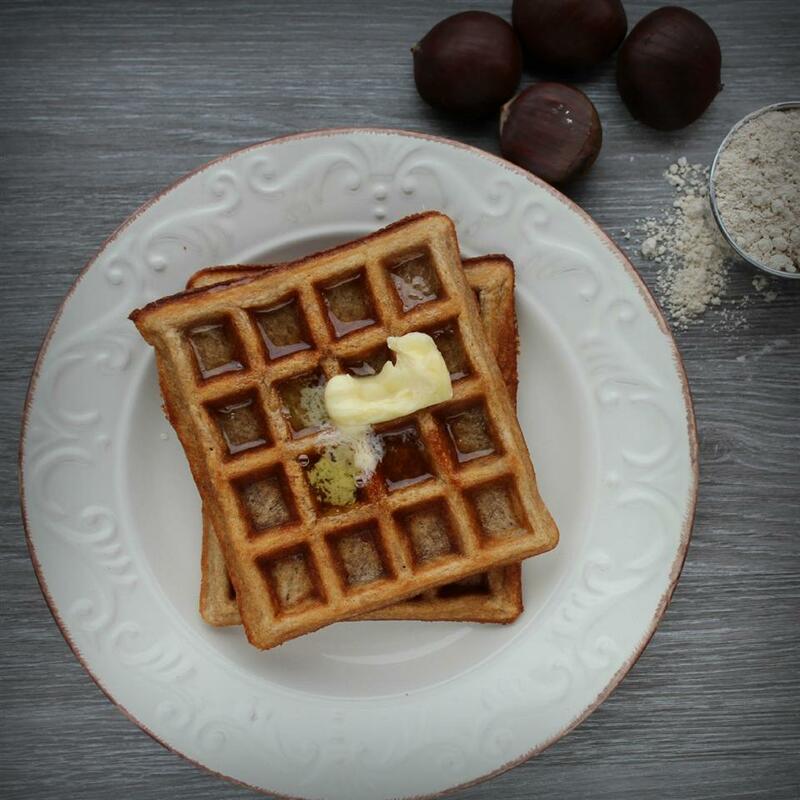 Definately not the quickest waffle recipe but well worth it! 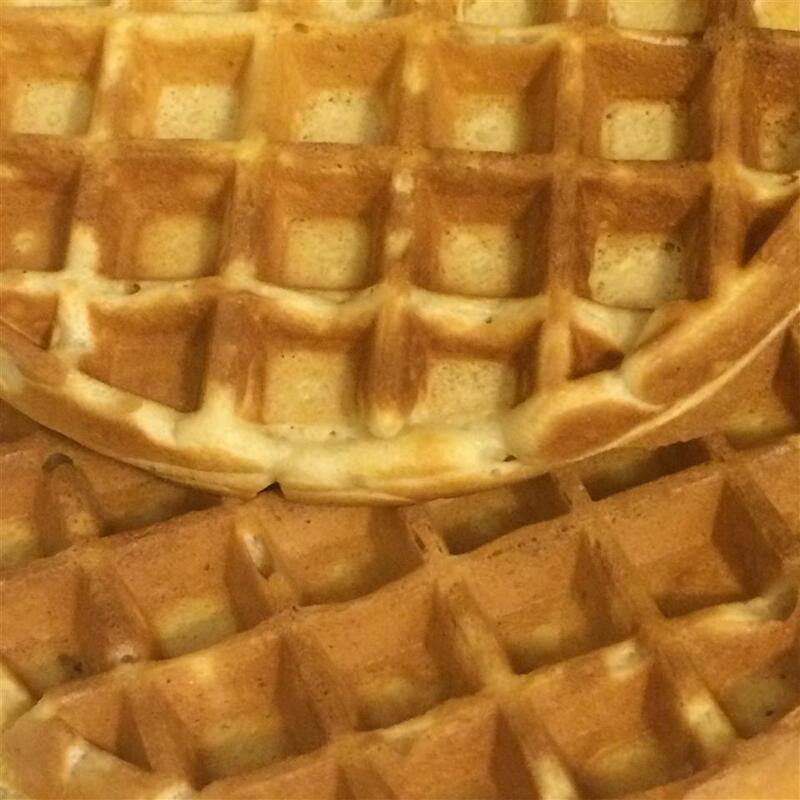 I typically make waffles enmass to freeze for kids breakfast...before I could bag them my daughter grabbed one and said &apos;These are really good mom!&apos; Texture reminds me of the inards of a popover. The Best!!!! My family loved them and they are a very tough crowd. It was easy to make. I followed earlier advice about putting all the ingredients in one bowl and mixing. I made them early and warmed them in the oven and they were perfect. 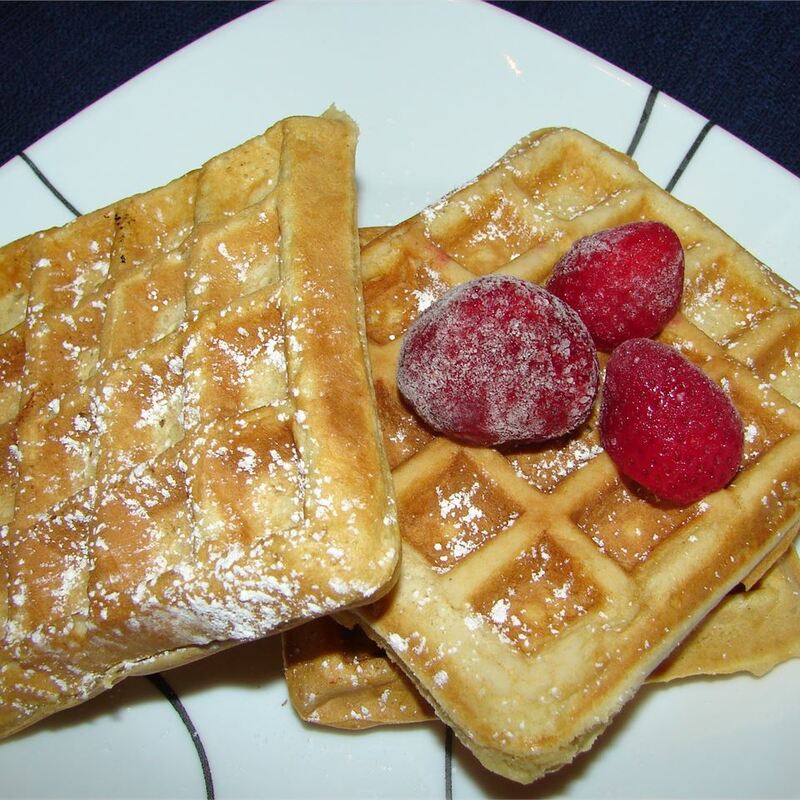 I will make a double batch next time so I can freeze some for breakfast on school days.